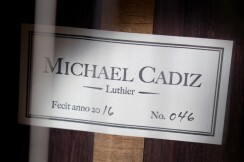 This is one of the finest, fanciest models Michael Cadiz has produced to date. 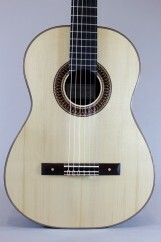 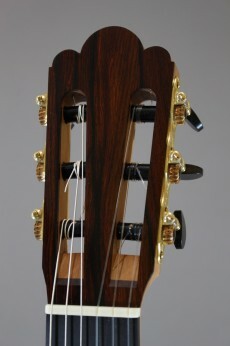 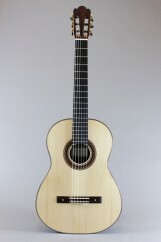 The guitar features top grade European spruce for the top, Alessi tuners and a wonderful handmade rosette in the arches style of Jose Romanillos. 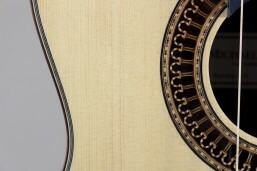 Most importantly the sound is world-class. 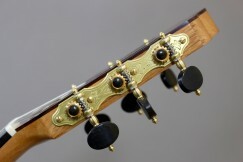 The trebles are clear but not edgy, the basses are full and powerful and the balance is beautiful. 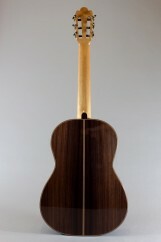 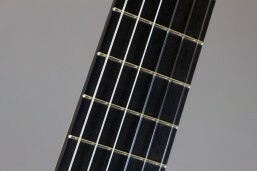 A very special guitar from a very fine builder.